Texas handed No. 12 Villanova its first loss of the season, 67-58, Tuesday at New York’s Madison Square Garden. 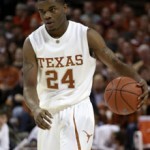 Texas travels to New York to take on Villanova Tuesday night in the Jimmy V Classic. ESPN.com’s Andy Katz on A.J. Abrams’ development into the weapon he’s become. Abrams matched a career-best 31 points to clinch a 68-64 thriller for No. 8 Texas. UCLA makes its Austin debut Thursday in a clash of Top 10 teams. 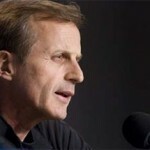 Longhorn basketball coach Rick Barnes gives his brutally honest take on the BCS. 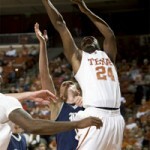 Despite some early jet lag, the Texas Longhorns beat the Rice Owls 77-56 Sunday in Austin. 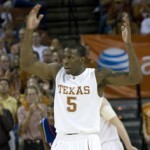 James scored 21 in Texas’ 70-57 win over Oregon in the Maui Invitational’s third-place game. 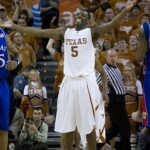 Texas put on a run late but fell just short to the Irish, 81-80.